I decided to try it out with Savy Baby this weekend in her baby pool. Getting the suit on was really easy, which is nice because so many rash guards can be hard to get on and off. The suit is really a nice comfortable material inside and out! Savy Baby just turned 7 months and the suit fits her nicely with room to grow. It will be perfect for the entire summer which is great since it means we will get good use of it! 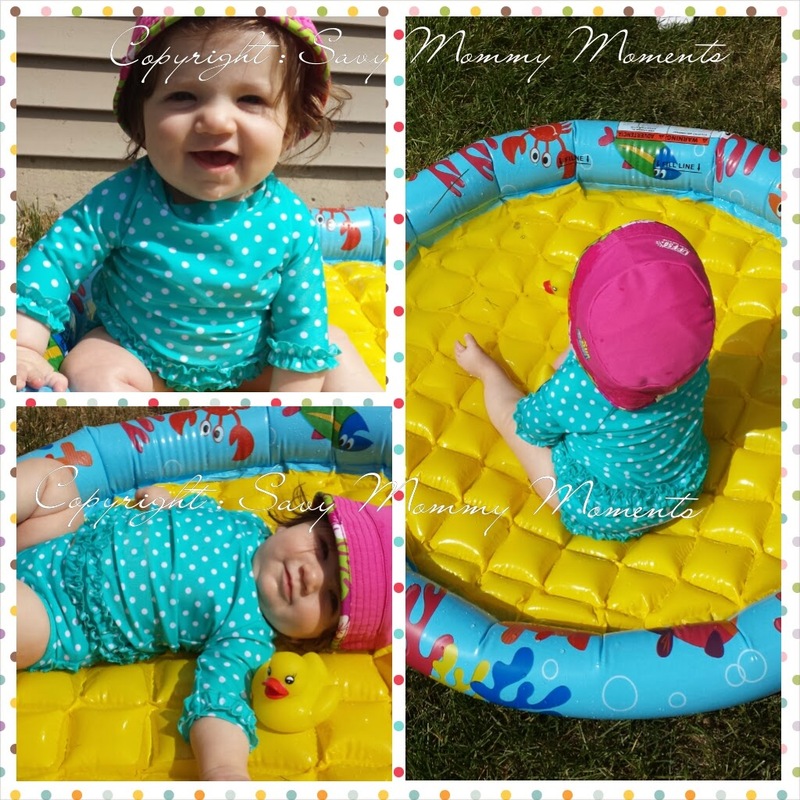 She really loved wearing it and splashing in her pool. 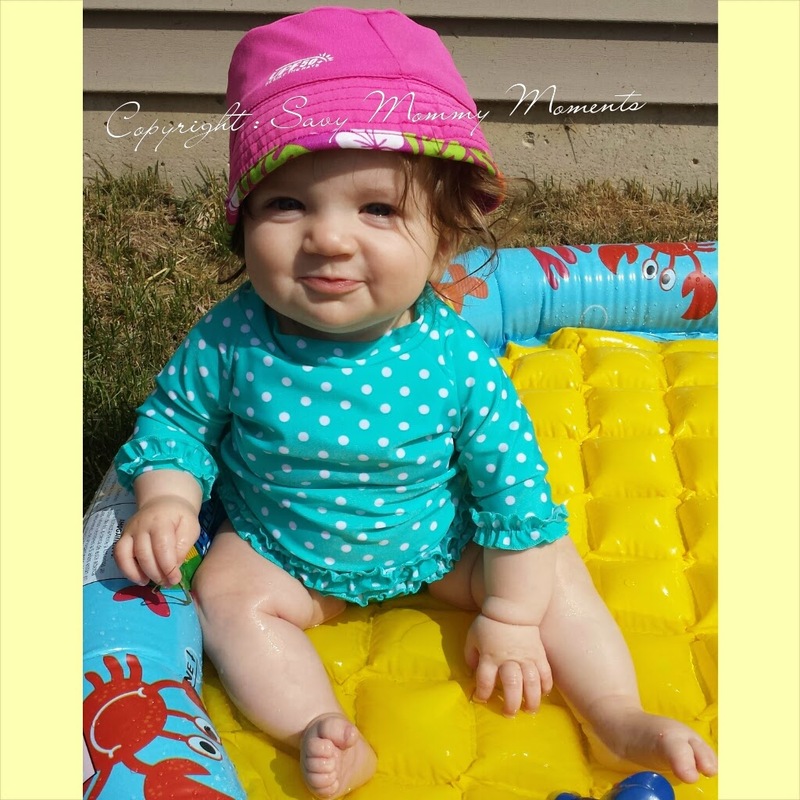 We love knowing that she was cool, comfortable and well-protected from the sun. Afterwards, I washed it and it still looks brand new! It's so wonderful having something that is so high-quality for my baby. 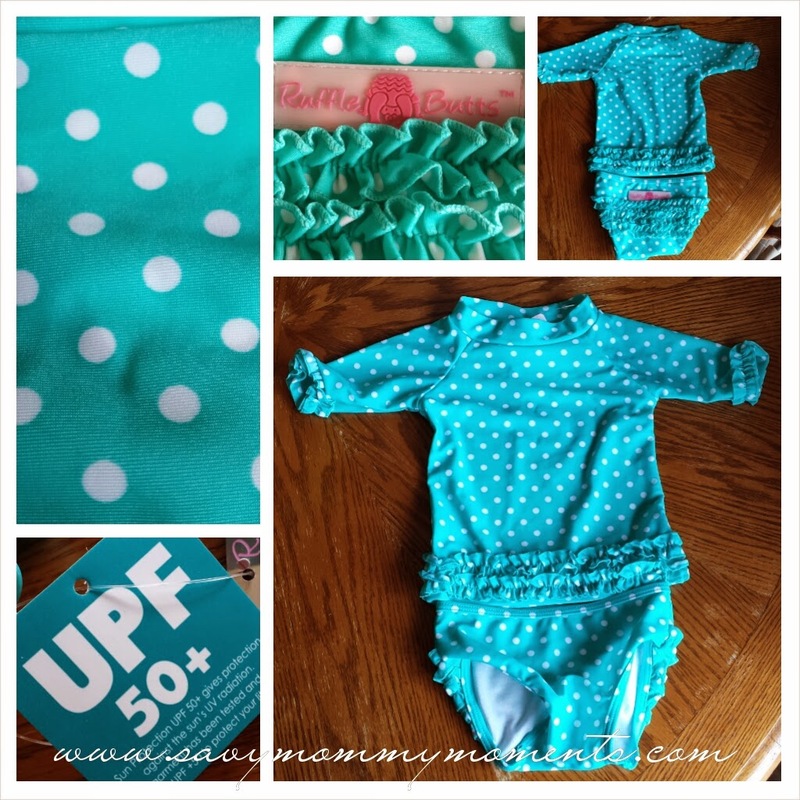 I highly recommend you check out the entire RuffleButss swimwear line for your kids! They feature suits for babies, toddlers and preschoolers! No little girls in your life? That's okay! They have a just as cute line for the little boys in your life: RuggedButts!